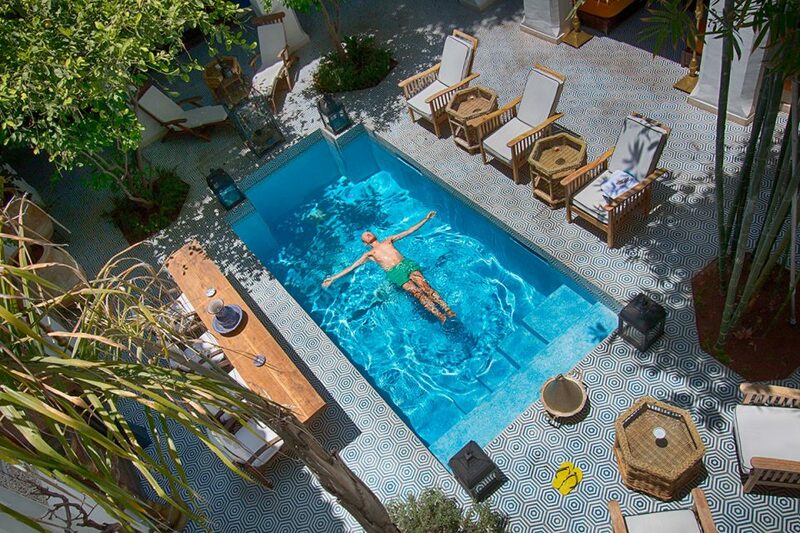 During our time in Marrakesh, we stayed in the stylish Riad Les Yeux Bleus, a vision of serenity and our paradise retreat away from the manic world outside its ochre walls. 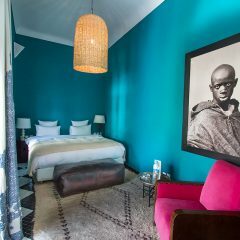 The environment is an intoxicating blend of Moroccan tradition and North African contemporary cool. 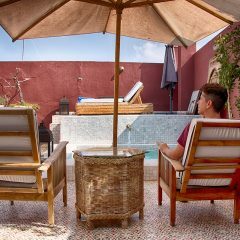 We spent a fair share of our Marrakesh time sipping tea in a sea of technicolor pillows or sitting in the cool shade of towering bamboo. There were a couple of days when I had to drag Thomas kicking and screaming away from the pool or the rooftop terrace. We loved it so much, we’ll be doing a video on Marrakesh and Riad Les Yeux Bleus in the near future. this looks incredible. 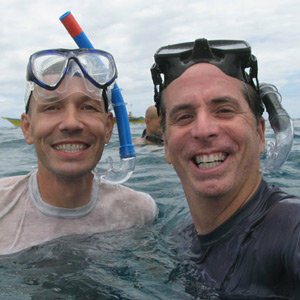 just checked them out on booking.com and they have great reviews. damn, i wish we had known cause i hated our place in marrakesh. next trip, i guess. 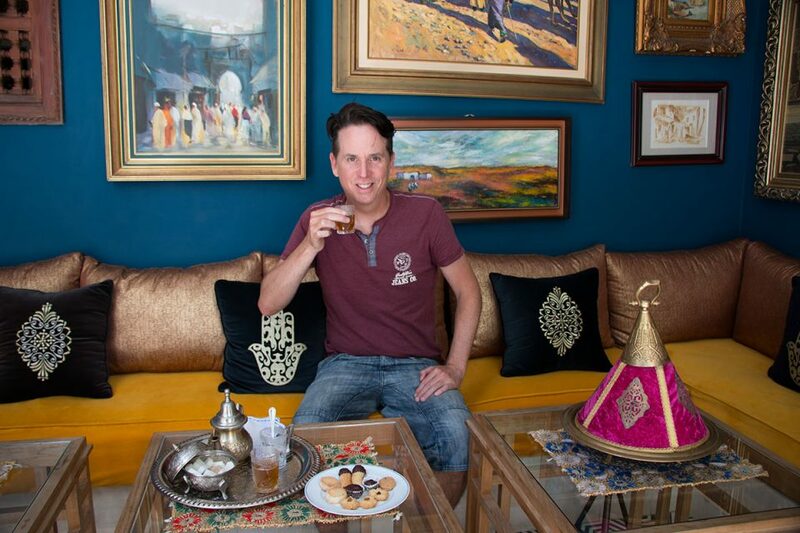 We definitely loved the riad and the staff. If you go back to Morocco, definitely try to stay there. They also run Kasbah du Toubkal in Imlil, so they do packages including both places. We’ll be covering the kasbah in an upcoming post. We, too, loved our stay here. I was fascinated by the renovation — leaving architectural elements in place but framing them in deep blues and pure whites. Such a lovely place – and great service. Would stay there again!